PLAYMATES are felt sculptures, that resemble plush toys, which are based on early personal computer models which implemented the change from a computer being a business-only computing machine to also being an entertainment hub that can be enjoyed by the whole family at home. 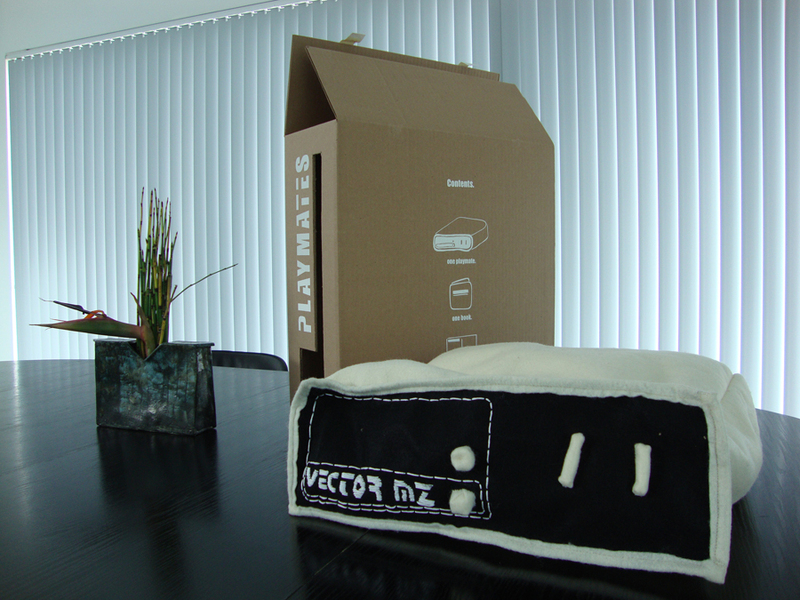 Each PLAYMATE is handcrafted in an edition of ten. All PLAYMATES are uniquely packaged in their own carrying case/ storage box. Being idle is conventionally defined with a negative connotation as a form of inactivity without purpose or effect. My definition uses the word in a positive manner as defined by Tom Hodgkinson in How to be Idle (2005). The state of idleness is used to address leisure time as our own time when we are doing what we want to do with no specific outcome determined. The PLAYMATES instructions for idling are simple – cuddle for comfort, nestle to nap, play for pleasure, and peruse and ponder. 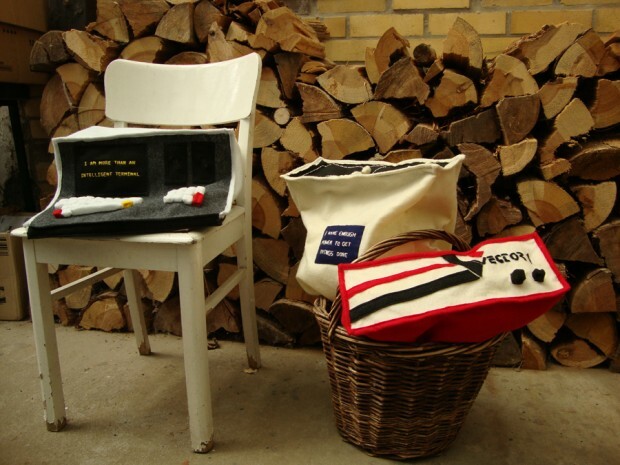 Each PLAYMATE has slogans embroidered that are personified statements from the original advertisement of the machines, for example ‘I have enough power to get things done’ or ‘I am more than just an intelligent terminal’. Each box contains a booklet explaining the history of personal computers through found editorial texts in magazines, advertisements, and sales guides from the early 1980s, as well as showcasing the original advertisements of each of the machines the PLAYMATES are based on. Using already existing systems of disbursements, both on- and off- line, the goal of the project is to feed its commentary back into the commodity product system. Sold for $499, the current price of the Apple i-pad, PLAYMATES also remarks on the standard pricing policy of new technologies. PLAYMATES are handcrafted products that address issues of advertising, labor, and our use of technological items. Complete with its own packaging and marketing, it spreads the message of idling, reversing the original utopian intent of these modeled-after machines.